Choose Wellness is a program of classes, workshops, and retreats promoting successful relationships, clarity of mind to achieve your dreams, and contentment in the face of painful circumstances. Create a purposeful life worth living! 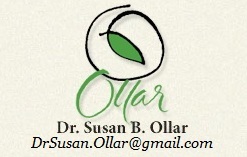 Contact Dr. Ollar at drsusan.ollar@gmail.com for registration information. Dr. Ollar utilizes a Mindfulness based, Cognitive Therapy (CT), solution-focused approach in treating patients. The emphasis of this treatment model is on helping individuals maximize their strengths to achieve significant short and long term goals. It stresses purpose driven awareness, interpersonal acceptance and presence, facing challenging thoughts, feelings and situations, and accurate self-perception leading to creative solutions to problems based on meaningful insights and core values. When Cognitive and Mindfulness based therapy is applied to a confidential group setting, new ways of thinking and behaving quickly emerge. Individual perspectives are shared in a supportive, safe and collaborative milieu. Cognitive therapy teaches you how your particular patterns of thinking are causing your symptoms and life problems. The therapeutic group environment helps you to weaken the connections between troublesome situations and your habitual and often self defeating reactions to them. You will develop powerful tools for minimizing or elimination your symptoms and find yourself creating a purpose driven life worth living. Dr. Ollar will offer teaching tools such as mindfulness training, interpersonal skills and distress tolerance skills. The group is typically composed of six to eight men and women. In addition to meaningful insights and transformative work about one’s self, the group is a place where members learn to help each other, develop compassion and understanding, and learn real life skills that translate to successes in your personal life and in the workplace. Group members must make a minimum eight-week commitment to group attendance, ensuring consistency and continuity in the group process. Additionally, all group members agree to strict confidentiality, maintaining privacy and security for all. The group meets on Wednesdays, from 5:30 to 7:00pm. If you are interested in joining the group, please contact Dr. Ollar at 303.499.4869.